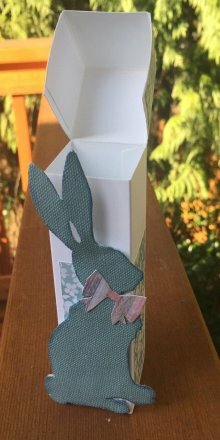 Come join us for a fun paper crafting class featuring two “Cottontail Treat Holders”. 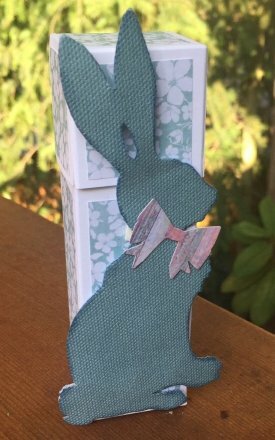 Easter is just around the corner and these make a nice treat for a friend, neighbor or family member. An assortment of spring colors will be available. 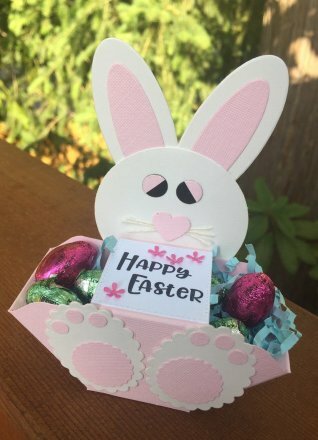 These simple but delightful treat holders are so fun to make you won’t want to stop with two. Please bring: paper trimmer, score board, envelope punch board, scissors, tweezers, foam squares, white glue AND adhesive tape and Stickles (any clear color).